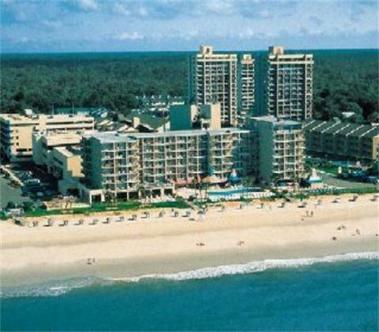 Ocean Dunes Resort & Villas is an oceanfront resort on the north end of Myrtle Beach. The property offers easy access to tennis, golf, entertainment, theater shopping and local attractions. Amenities include restaurant, lounge, seasonal pool bar, health club facilities, golf shop, gift shop, indoor/outdoor pools, sauna, beauty shop, and a playground. Room types include oceanfront oceanview room, efficiencies, 1BDRM suites, 1 & 2 bedrooms Villas and Penthouse. 7am-11pm%3B complimentary transport to/from the airport and hotel.